Have you seen cockroaches around the house?…But are you sure that the creepy crawlies are actually roaches? Yes, they have six legs, a pair of antennae, and they ‘look’ like roaches, so they must be, right? Well, not always! You might be facing a water bug problem! Confusing Water Bugs with Cockroaches is Common. Despite belonging to a different classification of insects, people often tend to mix up water bugs with cockroaches because of their appearance. 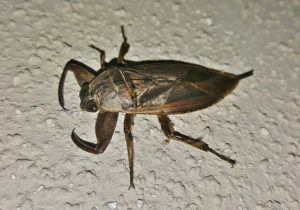 It’s common to mistake water bugs to be a different species of cockroaches (like the oriental roach and the American roach). As apparent by the name, a water bug is an aquatic insect which falls under the Hemiptera classification. Compared to cockroaches, water bugs are larger and measure at least 3.8 cm in length while common house cockroaches are much smaller. Again, as suggested by the name, water bugs tend to live either in water sources or near them while cockroaches, despite living in humid conditions, don’t go near water sources. Moreover, water bugs are known for biting. Cockroaches, on the other hand, do bite but only in very rare conditions. Only one species of cockroach is commonly known for biting which is the German cockroach. Water bugs, also known as alligator fleas, alligator ticks, electric-light bugs, and toe biters belong to the family of freshwater hemipteran insects. As understood by the name, water bugs prefer to live in water. While waterbugs have the ability to hold their breath for a long period, they need to resurface. There are almost 1500 species of water bugs. Moreover, they hardly ever enter houses. They prefer to eat creatures and insects present in the water instead of scavenging for food as cockroaches do. Cockroaches belong to the Blattodea species, the same group ‘termites’ fall under. There are approximately 4,600 species of cockroaches with some of them being termed as pests too. Generally, cockroaches are found in homes and buildings since they prefer warm environments that are close to sources of food and water. Cockroaches are also known for spreading a number of diseases. The most interesting thing about cockroaches is the fact that cockroaches are social insects that prefer to be in groups. In fact, they show a collective decision making when it comes to choosing food sources, and they behave differently when they are isolated. The most prominent distinguishing factor between the two insects is the size. Most of the species of water bugs are large in size and can measure up to 4 inches long. On the other hand, the common house cockroaches are smaller than water bugs and commonly measure up to one to two inches in length. Only the American cockroach has a size similar to the water bug; however, both of them can be easily differentiated. The water bug has a yellowish pattern resembling the figure eights on the back of its heads. 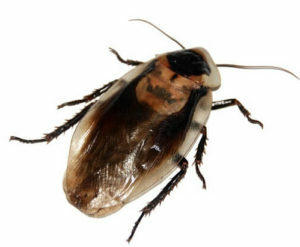 The color of cockroaches ranges from light tan shades to dark brown. Water bugs are tan to black in color as well, thus, it can be difficult to differentiate the two based on color. Both have a flat and oval-shaped body and feature wings and antennae. However, water bugs have both a short and pointed beak, as well as a sharp piercing mouthpart present on the underside of its head. Habitat – what are they attracted to? As mentioned earlier, water bugs tend to live either in water sources or near them. Since they are known as amphibious or aquatic, they spend a majority of their time in freshwater. However, they can also be found in rotting materials like debris and leaves. Water bugs are unable to breathe underwater; thus they come to the surface of the water for air. Water bugs look for dark and moist areas for hiding as well as breeding purposes. These bugs are most attracted to leaky pipes or standing water and will definitely be found in places where either of the two is present. Cockroaches are known as land insects and prefer to live in humid conditions; however, they don’t go near any water source on purpose. They generally prefer areas that are dark, vertical, and larger than the size of their body. The most common places where cockroaches are found include bathroom and the kitchen.Since they prefer a warm environment and don’t tolerate a cold temperature, they can be found indoors in cracks, basements, and crawl spaces. Apart from being attracted to moisture, cockroaches are attracted to crumbs laying on the floor, dirty dishes, as well as food left out on the counter. Despite their differences in habitat, both insects can enter the house through pipes, holes, and cracks that lead indoors and exit via the drainage system. Water bugs do bite, which is why they are often called as toe-biters. When a person’s foot disturbs a stagnant pond of water, then water bugs surely bite. However, these insects are generally considered to be harmless because they don’t go out of their way to search for humans that they can bite. Only if they are startled, or they feel threatened, they are likely to bite. Any person can be bitten by a water bug particularly those that work outdoors, particularly in rural and wood-heavy locations. Older adults and children are much more susceptible to experience severe reactions from the bite. While the bites are painful, they don’t cause any significant harm and are not lethal. However, some people do experience difficulty in breathing, swelling, increase in heart rate, muscle cramps, vomiting, and fever after being bitten. How to treat water bug bites? 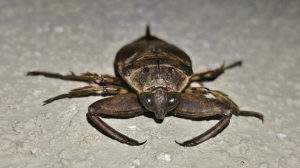 Both medical treatment and home remedies can be used for treating water bug bites. You must first wash the affected area with soap and water. Using a thick soap, make foam/lather on the place where you have been bitten. Then, rub the lather smoothly over the surface. Let the soap stay on the skin for up to a minute. Don’t rub off the soap. Instead, let it dry off as this prevents skin infection and itchiness. 1) Make a paste using baking soda and water. Make sure that the paste is thick. Next, apply the paste to the area where you have been bitten and leave it on for at least an hour until it completely dries off. Then, rinse the paste with cold water. 2) Take a cotton ball and dip it in lemon juice. Then, dab it on the rash to reduce the itchiness experienced. 3) Aloe Vera is known to have both antibiotic as well as antifungal properties because of which it is highly effective for preventing secondary infections that the bite might cause. 4) Ice packs can also be used for reducing the swelling. 5) You can apply over-the-counter steroidal creams such as 1% hydrocortisone or cortisone since they help to reduce the resulting inflammation and itching. The cream must be used for a week, and you must ensure that you follow the given instructions. 6) For a soothing effect and to heal the skin, use calamine lotion. You can also take either antihistamines or Benadryl. To find relief from pain, take anti-inflammatory analgesic medicines. Examples of such medicines include ibuprofen, naproxen, and aspirin. While it is quite rare, there is still a possibility of a cockroach biting you. The bite in itself is not harmful. However, it can last for up to one week. Cockroaches are omnivores and nocturnal. They might not bite the flesh all over the human body, but they are known to bite the eyelashes and fingernails as well as hands and feet. Cockroaches don’t really bite living humans except in the case of extreme infestations where the population of cockroach is large, and the food sources are limited. Take note that even if the infestation is large, cockroaches don’t bite humans when there are other food sources present like exposed food and garbage cans. 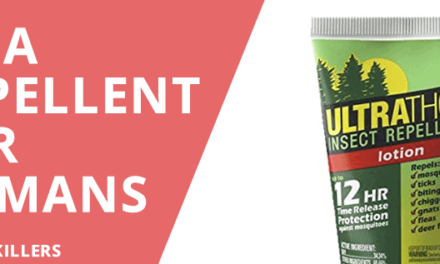 The bites can cause swelling, lesions, and irritations while some people may suffer from minor wound infections as well. Do roach bites spread diseases?How to treat cockroach bites? Cockroaches have proven to spread a number of diseases; however, these insects are not the direct vectors of any disease. Diseases caused by cockroaches are not through a direct mechanical transfer. Instead, the transmission takes place indirectly through contact and consumption of items that have been contaminated by the insects itself, and not through their bite. Cockroaches carry such bacteria that can contaminate food and make one sick upon consumption. They contaminate the food with their saliva and water; both of which that contain bacteria that can cause food poisoning, Staphylococcus infections, and diarrhea. Taking the necessary precautions as soon as you are bitten by a cockroach is important to avoid infection. Instead of pressing the wound and rubbing it, you must first clean it with water and soap. If the bite swells up, then you must treat it with ice. Remember, you must not scratch the wound because it can lead to secondary infections. 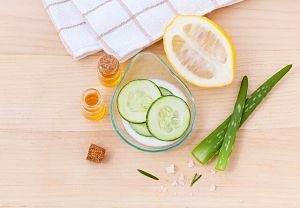 There are a few home remedies that you can use to treat the bites including alcohol, tea bag, and lemon juice. You can also apply a hydrocortisone cream in case of inflammation and swelling, however, make sure that you consult a doctor first. Bites from cockroaches are not fatal, so there is no need to panic. 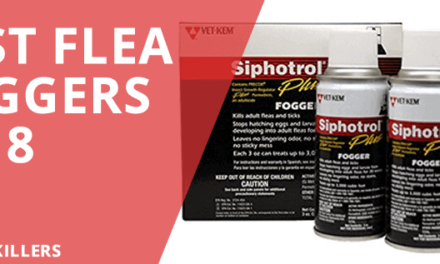 They can only cause secondary infections and allergies which can be treated easily. The time it takes for the nymph water bug to become a full-grown adult is, at maximum, two months. The female water bug lays the egg either on the back of the male water bug or plants above the water such as cattails. In some cases, the female lays eggs on weeds growing along the edge of the water. The male water bug then takes great care of the eggs until they hatch. The male also makes sure that the eggs get air every once in a while, so that fungus or algae doesn’t grow on them. The lifespan of an adult water bug depends on the species of water bugs; however, their lifespan can range anywhere from 1 years to 4 years. It is important to note that a water bug can live without food for up to 4 weeks and they can survive without water for up to two weeks as well. The life cycle of the cockroach varies from one species to another. However, all the cockroaches start as eggs and are carried in a capsule which is called an ootheca. The cockroaches then go through different development stages that are called instars until they mature into full-grown adults. In one sitting, the female roach can lay from as few as 14 eggs to as many as 36 eggs. Similarly, the incubation period can range from 24 days to up to 215 days. The lifespan of a cockroach depends on a number of factors including the diet and the environment. In favorable conditions, cockroaches go through rapid population growth and longer lifespan while in unfavorable conditions an adult cockroach either develops slowly or dies prematurely. Generally, female cockroaches live longer than males do. While the males may live up to approximately one year, females can survive for up to two years. • Water bugs most commonly eat tadpoles because they are very small and are not completely adapted to their surroundings yet. • Lastly, water bugs also love to eat insects ranging from ants to crickets. Since cockroaches are omnivores and tend to scavenge for food, they eat anything available to them. They prefer starches, meats, and sweets, but they can also consume items like decaying matter, books, and hair. Cockroaches that live in the sewers eat sewage while those living on dead tree eat the decaying wood. There are no particular foods that cockroaches eat. How to get rid of water bugs? Since these insects do bite, you should aim to get rid of them if you see them around the house. Of course, they don’t carry the same risks that other household pests do. However, it is still better to take care of them properly instead of ignoring the problem. 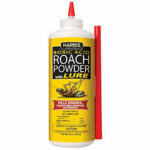 The best and the most efficient bait product for water bugs is boric acid. To attract the insects, a thin layer of boric acid is sprinkled outside the nest of the insect. As the insect walks over the layer of powder, it is ingested through the antennae and legs. After some time, the acid kills the insect. Boric acid is comparatively more effective than other bait products because of a number of reasons. Boris acid is known to have inflammatory properties. Thus, when it is applied, it burns the water bugs living in the area. Similarly, the eggs laid by the insects are also burned down. Boric acid is also anti-bacterial which helps to prevent the spread of bacteria by water bugs. To treat water bugs with boric acid, you need 400 to 500 grams of the powder. Then, identify the areas where the bugs are residing. After identifying the area, sprinkle a very thin layer of boric acid. Remember that the layer shouldn’t be too thick as water bugs avoid heavy piles. Alternatively, you can also mix boric acid with water to make a liquid solution and then spray it over the infested area. There are a number of ingredients present at home that can be used for treating water bugs such as vinegar, liquid detergent, and alcohol. Perhaps, one of the most effective home remedies for water bugs is the cooking oil. Cooking oil and water don’t mix at all. As a result, when cooking oil is poured on the water source, water bugs are all separated, and they start to float on the water’s surface. Then, when the bugs are transferred to a bucket filled with oil, a reaction in the presence of limited oxygen, oil, and heat kills the water bugs. For getting rid of cockroaches, you can use commercial cockroach killing sprays. However, if the infestation is severe, you should call your local exterminator. While both water bugs and cockroaches have a similar appearance, i.e., similar shape and size, they can still be differentiated because of other characteristics, which have been discussed above. Water bugs are most often than not found near a source of water while cockroaches tend to live on the land with humid conditions. Similarly, while roaches can bite, it is very rare that a cockroach would bite a human. 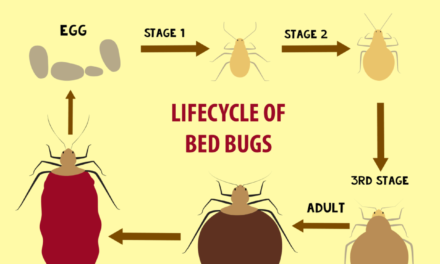 Regardless, it is important that you take the necessary steps to get rid of both the insects to live in a healthy space.